"The Duke" Newsletter August 2018 - Friends of Freshwater Inc.
IS FRESHIE BEING SHORT-CHANGED BY ITS COUNCIL? Freshie is going through a major phase of development, the like of which we may never see again. All of the developments, including the $200m New Dawn Diggers; The $20m “Freshwater”apartment and retail complex:“KOA”atop Soldiers Avenue and the recently approved “Oceans”, have paid S94 contributions to Council. These are substantial, but it is apparent that none of these contributions, not one dollar, will find its way back to our local community. 100% will be devoted to Dee Why Town Centre and its surrounding infrastructure projects. It is also clear that our community’s requirements for footpaths, public toilets and upgraded public spaces are low down the pecking order and with no special priority. In short, we are being short-changed by the voracious demands of town centre developments. Friends of Freshie Executive has prepared a set of questions for a meeting with the Mayor, who is also one of our Curl Curl Ward councillors, to discuss these issues. 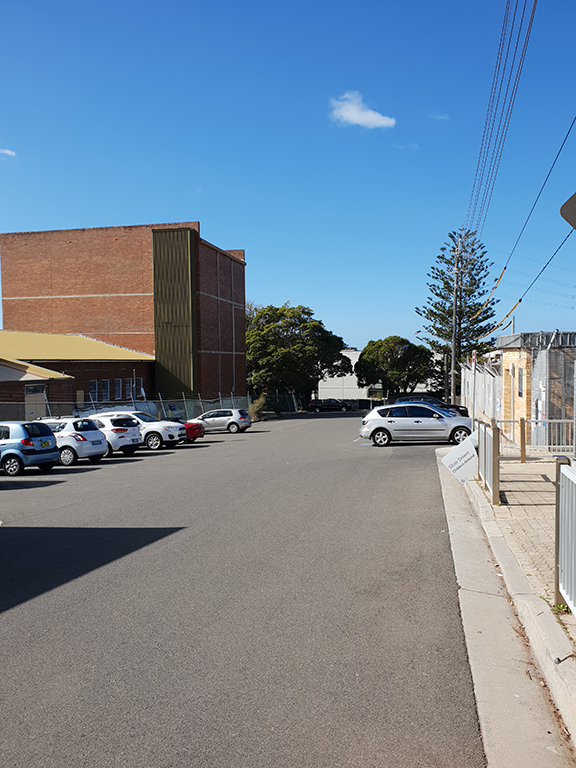 Council is proposing to reclassify the two public car parks in Freshwater Village (the Oliver Street car park and the Lawrence Street car park) from their current zoning of “Community Land”to “Operational Land”. It needs community concurrence to do so. The Friends of Freshwater is of the view that this is a timely initiative and, on balance, is in the best interests of the Freshwater community. 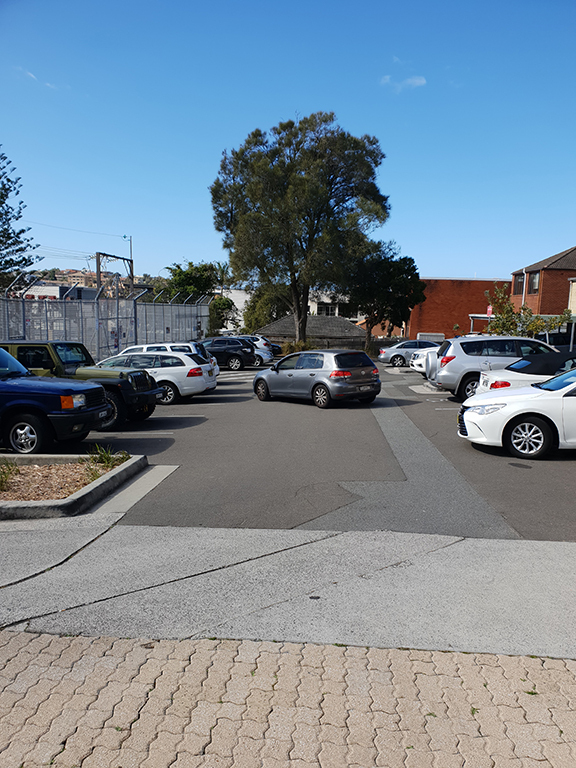 We do have concerns as to pedestrian safety, particularly with the safe movement of children from Harbord Kindergarten across the Oliver Street car park. We also have concerns for the Waves Youth Centre and its future, once the Mounties Group complete its Harbord Diggers redevelopment and the gymnasium is transferred there from its temporary site in the Waves Centre. Will this be the subject of re-development, and how will it impact upon the car parks? “Community Land” as a planning provision, means that it can only be used for public purposes and is usually associated with open space such as public parks and recreational purposes. It cannot be used for private purposes such as allowing the Freshwater Village shopkeepers fronting the northern side of Lawrence Street to have legal access to their properties via these car parks. Currently all deliveries to them are from Lawrence Street. Rezoning to “Operational Land”allows this to occur from the rear of their properties. This will significantly reduce risk to pedestrians on Lawrence St. .and ease traffic movements. 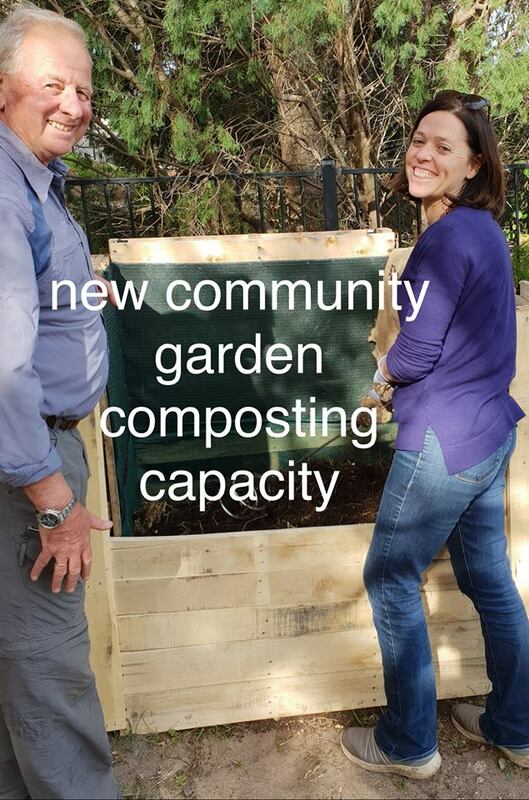 We set out this year to upgrade our capacity to handle the substantial green waste generated by the Community Garden, as well as cater, more effectively, for the fruit and vegetable scraps being supplied from the kitchens of apartment dwellers. In the process we have built 3 large green waste bins to create healthy compost for re-use in the Garden. These bins will not have either food waste or invasive weeds, and are lined to prevent entry of vermin. These bins will also be aerated, manured and watered regularly. With the help of the Kimbriki Eco Centre, we have also gained 6 large compost bins for handling fruit and vegetable scraps. People using these bins will be urged to contribute to the making of the ” compost recipe”by adding sprinklings of dolomite, rock dust, coffee grounds and leaf litter. These bins will also be watered and aerated regularly by our garden volunteers. A simple coloured coding system will inform as to which bins are being filled and which are curing. Again, no weeds, meats or plastics should be placed in these bins. It is also an unfortunate fact that so-called biodegradable plastics do not break down in the lower temperatures of these bins. This Composting Project is being developed at minimal cost and using recyclable materials wherever possible. We are thankful of the community gardeners who have given generously of their time. Our Freshie Community Garden has operated for the last five years, at Crown Reserve, Freshwater, on land allocated by Northern Beaches Council to the Friends of Freshwater Inc. (FOF). All members of the Community Garden are also members of the FOF. The It is alongside an alternative pedestrian route between Freshwater and Manly. The Community Garden is run by its gardeners as a vibrant green space designed to not only produce edible produce for allotment holders, but also to promote sustainable living practices, healthy exercise and community engagement. Wherever possible, equipment and materials used in the garden are derived from local recycling. We are also appreciative of the goodwill of the local community and local organisations. Currently it accommodates 38 garden allotments tended by 60 gardeners and their families. In 2018, we are upgrading our composting capacity to support a community-wide desire to convert fruit and vegetable scraps into fertile soil. Our Garden is increasingly used by local kindergartens and pre-schools as a site for teaching basic sustainable practices. Jacka Park is classified as a “District Park” but is almost alone on the northern beaches without any toilet facilities. Users of the children’s playground have long complained about this situation, and Friends of Freshie, in 2016, managed to get it inserted on the Capital Projects Priority List for Warringah Council’s Parks and Foreshores Strategic Plan. All that went awry with the Council Amalgamation and we are now back to Square One competing with 30 other public toilet projects for funding. As for the kids, they are going in the bushes or wherever. We are also concerned about the inadequate public toilet facilities in Freshwater Village. 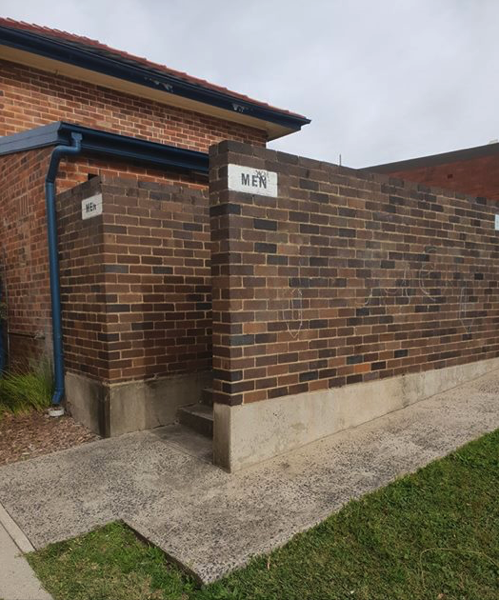 These were constructed 88 years ago and have no handwashing amenities in the men’s toilet, and the toilet block is open to the elements in wet weather. Again, nothing has been done to rectify this situation. Look around and you will observe the impact of salt spray on our medium density buildings. 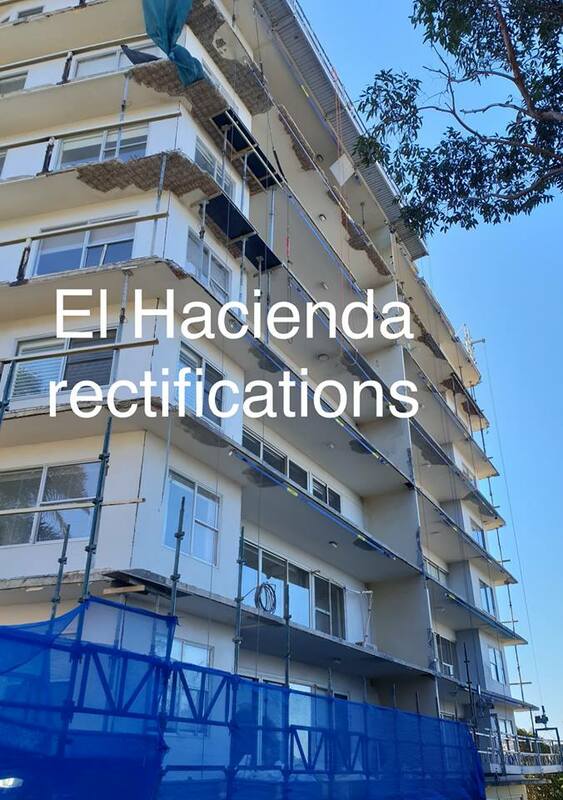 Remediation work is being undertaken on many buildings but none so extensive as that of “El Hacienda” in Undercliff Road. This prominent building has had all its ornate balustrades removed and balconies stripped. There has also been a need to replace some windows. This has become a major project and indicates the corrosive capacity of salt spray. We have commented previously on the prominent, apartment complex at 5 Pavilion Street and its occupancy of a magnificent site atop Curl Curl Headland with expansive views north to Palm Beach. This 12 apartment building was previously in a dilapidated state, having been declared uninhabitable by NBC. Its new incarnation as 6 single floor apartments will shortly be available for occupation. Having appeared before the Land and Environment Commission on aspects of this development, FOF is delighted with the outcome. This building and its ornate brickwork cladding is a 1000% improvement on the previous structure. More importantly it rectifies off street parking, and other deficiencies of the previous building. 4 of the apartments have already been advertised for sale at prices north of $5m per apartment. the previous Construction company SX Projects went into liquidation. The Project is more than a year behind schedule. 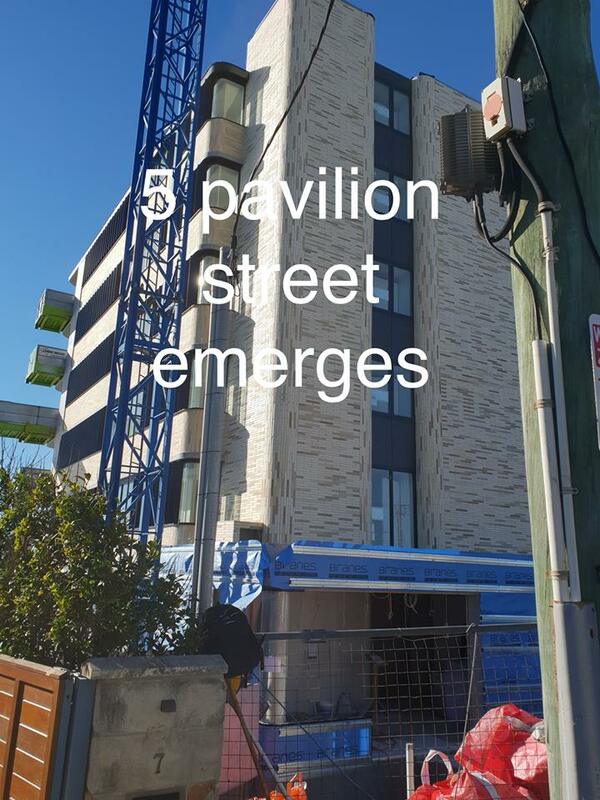 It now appears, even though an Occupation Certificate has apparently been issued by Council, everything has seemingly slowed while a range of rectifications are completed in the space for the anchor tenant and in the lower garage area. Only a small number of owners have been allowed to move into their apartments. There has been an eerie silence about the building, and the Duke senses that the only obvious activity is that of dollars burning. Spare a thought for those who bought off the plan (as some did 6 years ago) and who are constantly rearranging their lives to cope with the delays. Of course this has a more than passing interest to other businesses in the Village who are waiting upon an uptake of passing pedestrian traffic. “The Freshwater”has provision for 56 parking spaces for its retail customers. The previous Growers had 35, so this will be a big boost to the Village when the complex opens. One hopes that it is sooner rather than later. We reported on the prospect of the organic food retailer Flannery’s taking up a leasehold in the Freshwater Village Plaza. A hitch has apparently occurred as to the extent of Flannery’s liverage on the side of the building. Flannery’s were seeking near total coverage, which would have prevented other tenants advertising their presence. Apparently the impasse is close to being resolved. Vodaphone and Telstra have been installing a 4/5G Tower atop the Polar Bar two-storey building at 87 Harbord Road. The immediate community has not been properly consulted, and Vodaphone merely sent a letter to Council on 1/12/17 indicating its intentions, and mentioning that it was placing an advertisement in the Daily Telegraph, with a 10-day turnaround for the community to raise any concerns. This has distinct echoes of the OPTUS Mckillop Park Tower fiasco and the Friends of Freshwater thought that we had overcome the sneaky approach of Telcos to proper community consultation on Tower infrastructure. The protocol developed included proper notification of the community plus the lodgement of a DA so that the normal planning processes would apply. Vodaphone is now hiding behind the Federal Telecommunications Act to justify its actions. Although we thirst for mobile data capacity, this is not the way to achieve it. 4G Towers were meant to be on the roof of tall buildings not small residential buildings with no EMR measurements undertaken. We need to stop this blatant disregard of the community. DEVELOPERS EYE FRESHWATER VILLAGE BACK PRECINCT. Developers currently have two DA’s before Council for development of residential and retail accommodation on land that has never been developed before. Both IPM Holdings, who recently purchased a large, long held-block, from the Roberts family, and neighbour, Francis Kim (proprietor of the recently expanded Hiro’s Restaurant) now have applications being assessed by NBC. The Friends of Freshie has found significant deficiencies in both these applications including close proximity to an ever expanding source of Electro-Magnetic Radiation from the AUSGRID sub station, and various non-compliances with the LEP and Freshwater Village DCP. Both seek access to their developments from Lawrence Street when access from the rear should have been sought. In both cases, these DA’s are opportunistic. DA2017/1287 proposes 20 bedrooms in close proximity to the sub-station fence. There is a probability that some of these might be occupied by children and for them the possible risk of exposure is elevated. We think that this is not worth the risk and is indeed poor urban planning. Fortunately, Council’s Environment Health section has recommended refusal. This is on the basis that” theapplicant provides details of the long term effects of EMF and how exposure will be addressed”. n its submission to this DA, AUSGRID advised that the development be no closer than 3 metres to its boundary, which would severely compromise the viability of the development. Both developments have been in the process of Council assessment for months and are problematic. A panel process was convened, Friends of Freshie was in attendance to raise its concerns. DA2017/1294 was approved but with the proviso that entry be from the rear of the site rather than from its Lawrence Street Driveway. Freshwater Village Back Precinct includes the Literary Institute, former Baby Health Centre, Guide Hall, Waves Youth Centre (now a temporary Gym). The 5-story Telstra building (which is used as a de-facto telecommunication tower) and the Ausgrid Electricity Sub-Station, as well as two land holdings at the rear of Lawrence Street. There is also the Oliver Street car park, which is zoned for community use but ought to be zoned as operational land. Friends of Freshwater has written to Council seeking place management emphasis on the precinct, given that Council is both a prominent landlord as well as the consent authority for the Village. The unique Harbord Literary Institute is in its 100thyear of operation, and Council is planning for an appropriate p celebration of its longevity. The Institute, uniquely, continues the same activities as when it was first established. It still has a library, run on a voluntary basis, after Council closed its Branch. These dedicated volunteers keep the library flame flickering in Freshwater. It also has a meeting room which is well used for political and community meetings. Its Hall is booked for cultural and community gatherings, and by day, is a long-standing Community Kindergartens. Its former tennis court is now utilised for children’s outdoor play. WHAT USE THE VACANT BABY HEALTH CENTRE? Mums and their new born children are now forced to seek early childhood services in the multi-storied bun rush that is the new Brookvale Community Health Centre, adjacent to Warringah Mall. This involves finding parking in the Complex and getting to the designated floor of the building with pram and necessities. Needless to say that young Freshie mums are scattering to other nearby suburbs for their mothers’ groups rather than using this facility. DID THE DEPARTMENT OF HEALTH THINK ABOUT ITS CLIENTELE AND THEIR NEEDS? Which begs the question as to what is going to be the further use for this Council Asset? We have heard scuttlebutt that it may be a site for an Aboriginal Heritage Centre. NEW DIGGERS IS PARTIALLY OPEN BUT WHAT IS FUTURE OF WAVES CENTRE? The Mounties Headland Site is now open with completion of an operational club, some residential accommodation and a day care facility now operating. The impressive new Club was officially opened on 30 June after a gala occasion was held beforehand on 28 June. Work is continuing apace on other areas and the construction of the swimming pools/gymnasium/ residential tower, is well underway. Soon a massive number of concrete trucks will begin deliveries in order to lay the foundations for this final stage. At the completion of this project, community attention will revert to the other Mounties Group asset in Freshwater, the Waves Youth Facility. This site was established by members of the Freshwater community via the Harbord Diggers Club. It was meant to be both a lasting legacy and gift to the youth of our community. With the quiet removal of the site from the core business of Mounties, its Board is apparently free to use or dispose of the asset as it wishes. Of course, with a burgeoning youth population, a revitalised youth centre of the kind that was previously operated and staffed by the Harbord Diggers, would be well-received by the community. If you are thinking of becoming a member of FOF, or simply renewing your membership, then hop on line to our website at www.freshie.org.aufor easy subscription. Refurbishing the Soldiers Avenue of Honour as part of the Centenary of Anzac and Armistice commemorations.